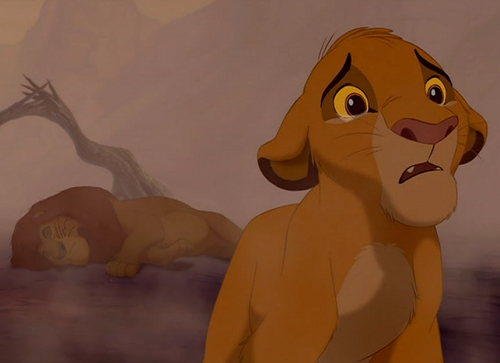 Are there any important lessons we might glean from The Lion King that relate to current events and trends? Let’s find out. As the story opens, we see a young lion cub who is held up for all the kingdom’s inhabitants to see. Everyone bows to him, even though he has done nothing to warrant any respect except by virtue of being born. This cub is Simba, and he soon grows into a bit of an entitled scamp looking forward anxiously to the day when he will be king. 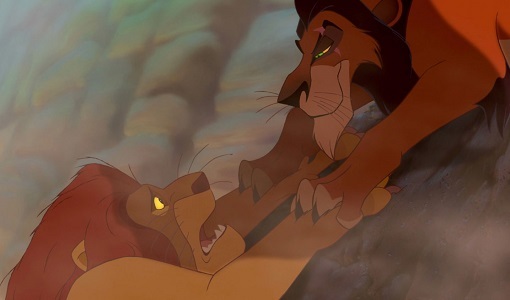 Mufasa, Simba’s father, is a wise patriarchal leader who rules his kingdom with strength and bravery. Unfortunately, he gets trampled to death by a mindless herd of stampeding wildebeests who are being manipulated and used by the cunning of someone who craves power. The kingdom is made up of many types of prey and predator, all living in harmony with each other. 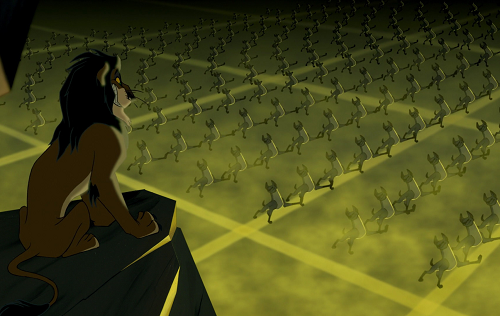 Once Mufasa is killed, a totalitarian ideology enters the kingdom with the hyenas and drives away all of the prey so everyone who stays goes hungry. Its adherents even threaten the lionesses and cubs. Simba is falsely accused of a terrible crime and he’s encouraged to run away from his problems and waste his youth seeking meaningless pleasure. He buries his guilt deep inside and tries to avoid thinking about his past or what he could have been. Hm. Could anything like that be happening in the world today? Participation trophies. Feminism. MGTOW. What other comparisons do you see to current events? 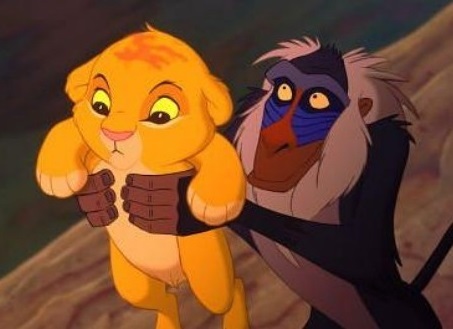 The Lion King has a happy ending with Simba returning to restore the Circle of Life to his kingdom. What will be our ending? This entry was posted in Random Stuff and tagged animated films, disney, films, movie review, movies, the lion king. Bookmark the permalink. It definitely has the most beautiful animation.